Members of the local VFW and American Legion are holding a remembrance event at 8 a.m. Friday to honor the lives of those lost during the tragic Pearl Harbor attack in 1941. CARIBOU, Maine — Members of the local VFW and American Legion are holding a remembrance event at 8 a.m. Friday to honor the lives of those lost during the tragic Pearl Harbor attack in 1941. 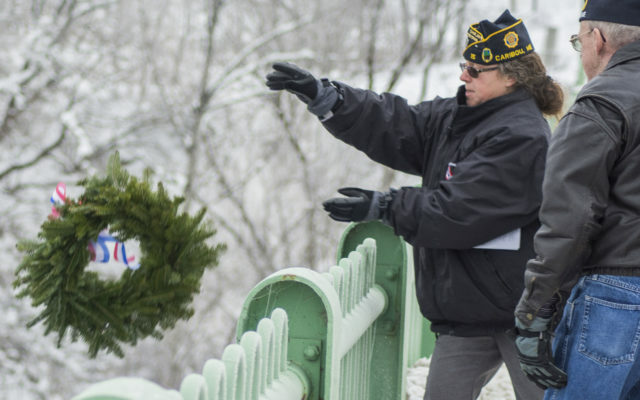 The ceremony on the Fort Street Bridge in Caribou will mark 77 years since the day the Japanese Navy Air Service launched a surprise attack on a United States naval base in Pearl Harbor. Police will be present to direct traffic through the bridge as the Legion and VFW members toss a ceremonial wreath over the bridge into the Aroostook River in remembrance of the lives and sacrifice of United States servicemen and women lost to the attack.